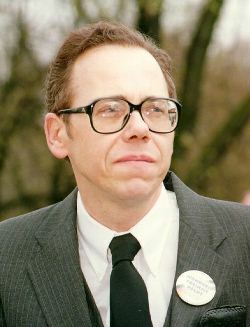 Until the late 1980’s, Fred A. Leuchter, Jr., was the foremost expert on the design, construction and maintenance of hardware, including homicidal gas chambers, used to execute convicted criminals in the United States. After receiving a Bachelor's degree (in history) from Boston University in 1964, Leuchter did postgraduate work at the Harvard Smithsonian Astrophysical Observatory. He holds patents on the design of sextants, surveying instruments and optical encoding equipment. He is an accomplished pianist and an NRA-qualified small-arms instructor. Leuchter is perhaps best known as the author of four controversial forensic reports on alleged German wartime extermination gas chambers. Leuchter designed and maintained gas chambers for several U.S. penal institutions. He was sent by Ernst Zündel to investigate Auschwitz, Majdanek, Dachau, Hartheim and other alleged "Nazi Death Camps" and "gassing facilities." Author of the devastating, trail-blazing series of Leuchter Reports (I, II, III, IV) and several articles and videotaped presentations that resulted from these investigations. Sensational Zündel witness in the Great Holocaust Trial in 1988. Leuchter was blacklisted in the U.S. and hounded by the Holocaust lobby and the world's lapdog media. He was arrested and jailed in Germany while visiting there to appear on a television show, and he was denied entry tot he UK due to his forensic research. As a result of intense Jewish pressure, Leuchter lost his livelihood. Since making known his findings, he also has been libelled, slandered, and financially ruined.